Summer 2012; A Wonderful Adventure! Hi everyone! Welcome back to Saint Rose, new students and all! (because let’s face it, before I was a freshman, I came to this school about 3 times to tour it, for orientation, and for a general meeting, so I’m sure you guys did too! :D) I hope you are all settled in and doing swell! I began my travels on August 3rd and didn’t come home until the 20th. I had four days home, all filled with jet lag and seeing everyone I could, before I came back to help the freshman move in their stuff on August 24th! To kind of brag about my amazing trip a little (I really can’t help it), I visited Paris (France), Lucerne, Lugano (Switzerland), Ferrara, Pisa, Florence, Rome, Venice (Italy), Innsbruck (Austria), Munich, Rothenburg, Rhineland (Germany), Amsterdam, Volendam (Holland), Brussels (Belgium), and London! Literally everywhere. It was a non-stop, crazy, live-on-a-bus-for-8-hours of almost everyday tour. We literally did Rome in one day to give you an idea of how fast paced it was. While I really loved all of the places I visited, one that stood out to me was Lucerne, Switzerland. 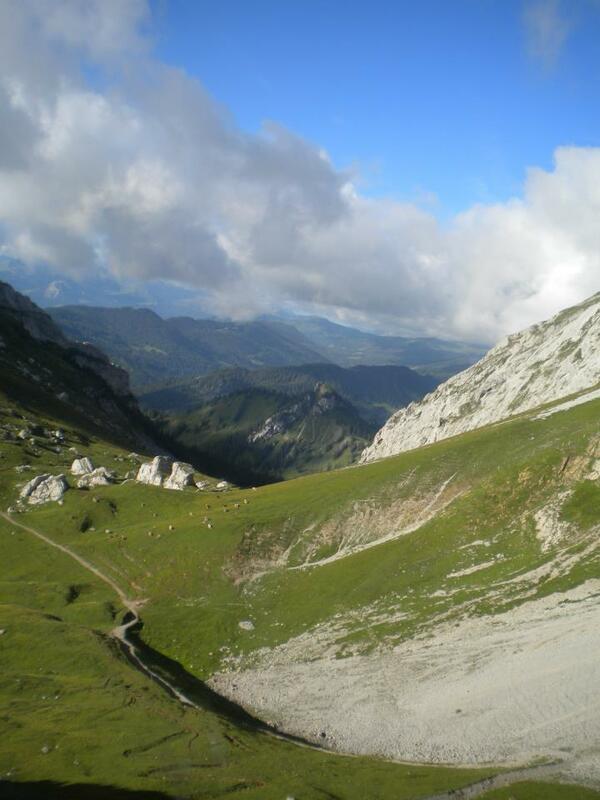 There were SO many cows (I really love cows), amazing chocolate, and we “tourist climbed” Mount Pilatus!I say tourist climbed because we took a railway up the mountain, and gondola’s back down. 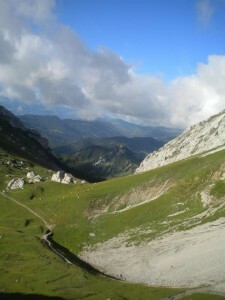 One day I will be fit enough to hike it!…maybe. Mt. Pilatus in Lucerne, Switzerland! Beyond beautiful! 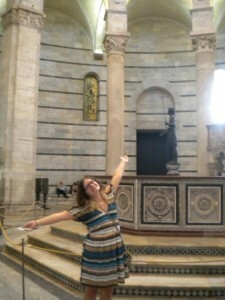 Me in the Basilica next to the Leaning Tower of Pisa! We saw so MANY churches in Italy! So, now that I’ve bragged a little, I would love to hear about what things you guys did this summer! Even if I didn’t go on the trip, my summer still would have been amazing. I hope yours was, as well!